The prompt for the “Inspiration Workshop!” this week is PAMPER YOURSELF. When I’m feeling down or want a treat “just because”, I head over to my favorite bakery…Cupcake! I never leave out with one cupcake, it has to be around the 2 to 6 range. Y’all, they are gud (say it southern, you’ll get it). 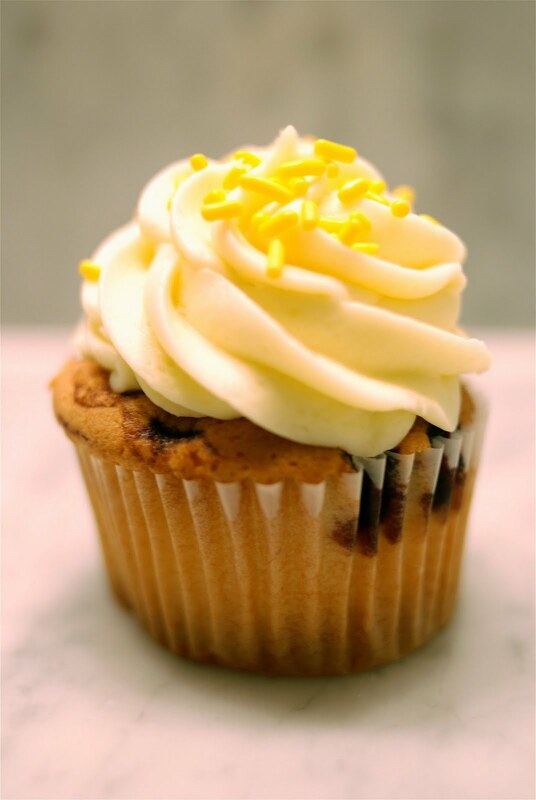 My favorite summer creation is the Lemon Blueberry cupcake. You’re probably thinking…”mmm, that’s too much going on in one cupcake.” I promise you, all the flavors meld into one frosted piece of gud-ness. Still not convinced? Okay, okay. Cupcake describes this wonderment as a “fresh blueberry cake topped with lemon cream cheese frosting”. If you are ever in South Carolina, you have to swing by the Charleston/ Mt. Pleasant area to get one of these bad boys. You won’t regret it! umm YUM. Blueberry lemon sounds amazing! Whenever I try to speak in a southern accent it doesn't work, hehe. Oh wow this is in Charleston! I must stop by and check it out soon. You failed to mention that you pretty much wanna pampered yourself with cupcakes all the time….seriously…all the time. Yummy!! I love to eat cupcakes. I'm SO with you on this! 🙂 What a fab-o way to pamper one's self!! 🙂 I'm a big red velvet cupcake fan! Pure Bliss! I love love love little cupcake shops! I am pretty far from South Carolina (I live in Colorado!) but I may just take this pampering tip down to our local cupcake place this weekend! Oh my gosh! Visited Charleston a few years back and this was one of the first places I had on my “to-see” list. Loved it!